Description Honda Certified, CARFAX 1-Owner, Excellent Condition, GREAT MILES 2,249! PRICE DROP FROM $31,984, EPA 28 MPG Hwy/19 MPG City!, PRICED TO MOVE $3,600 below Kelley Blue Book! Heated Seats, 3rd Row Seat, Back-Up Camera, Satellite Radio CLICK ME! KEY FEATURES INCLUDE Third Row Seat, Rear Air, Heated Driver Seat, Back-Up Camera, Satellite Radio. Rear Spoiler, MP3 Player, Power Third Passenger Door, Privacy Glass, Keyless Entry. OPTION PACKAGES SPLASH GUARD SET: Part number 08P00-THR-100. Honda EX with White Diamond Pearl exterior and Beige interior features a V6 Cylinder Engine with 280 HP at 6000 RPM*. Serviced here, Non-Smoker vehicle, Originally bought here. 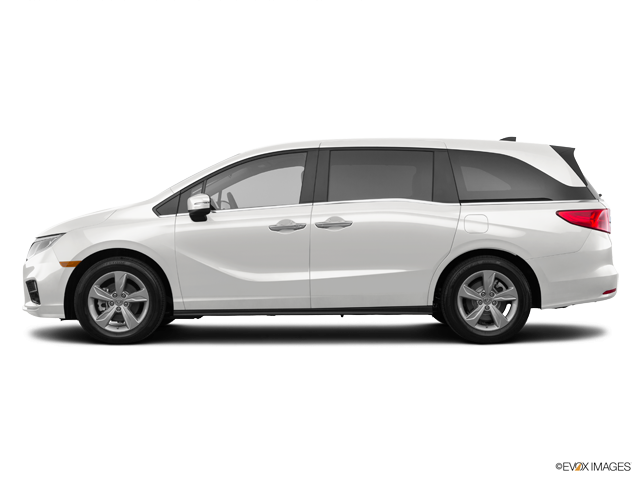 EXPERTS CONCLUDE Edmunds.com explains "No SUV can match the 2019 Honda Odyssey for ease of use or flexibility. It doesn't hurt that the Odyssey comes standard with a strong V6 and comfortable seats. ". Great Gas Mileage: 28 MPG Hwy. AFFORDABLE Was $31,984. This Odyssey is priced $3,600 below Kelley Blue Book. PURCHASE WITH CONFIDENCE Balance of original 7-year/100,000-Mile Powertrain Warranty, Additional 1-year/12,000-mile Non-Powertrain Warranty, Vehicle History Report, NO Deductible, 182-Point Inspection and Reconditioning, 24 Hour Roadside Assistance includes, towing, lock-out assistance, tire change and fuel delivery, SiriusXM free three-month trial period on eligible factory equipped vehicles Pricing analysis performed on 4/18/2019. Horsepower calculations based on trim engine configuration. Fuel economy calculations based on original manufacturer data for trim engine configuration. Please confirm the accuracy of the included equipment by calling us prior to purchase.